VANCOUVER, British Columbia (CNS) — Archbishop J. Michael Miller of Vancouver said the British Columbia provincial government must stop attempts to force hospices and care homes to provide euthanasia. Provincial health authorities are “making a serious error” in trying to coerce caregivers — “committed to making the final stages of life for the elderly, sick, and suffering meaningful and dignified” — into supporting assisted suicide, the archbishop said in a Feb. 22 statement. “Assisted suicide stands in stark contrast” to the care that hospices offer, and none should be compelled to provide it, he said. 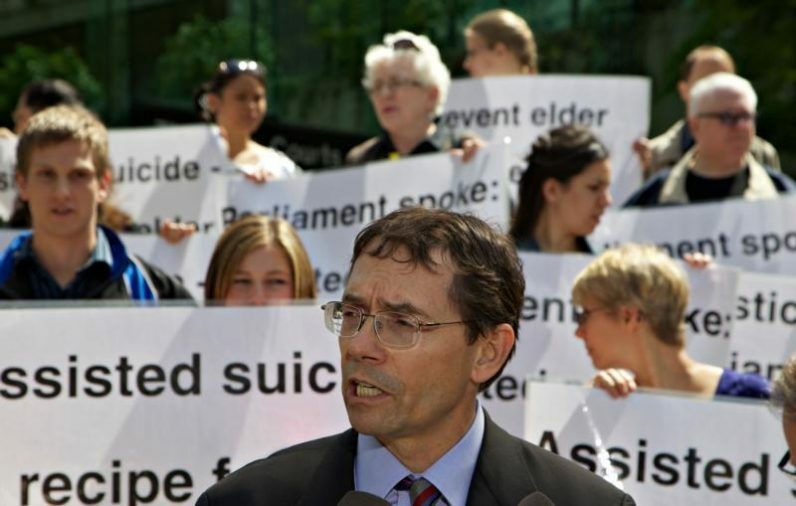 More than 2,000 Canadians have died of assisted suicide since the practice was made legal in June 2016. Archbishop Miller said that points to a dire need for better end-of-life care, not increased access to a lethal injection. “If the elderly, sick, and suffering in our population feel that euthanasia is their best option, it means we as a society and as individuals are letting them down,” he wrote. Archbishop Miller is the latest voice to join many health care workers, volunteers, community leaders and concerned citizens calling foul over a recent announcement from the regional Fraser Health Authority that hospices in its jurisdiction would be required to provide assisted suicide on site if a patient was qualified. Currently, hospices can opt to transfer patients who want to die to a different location for the lethal procedure.